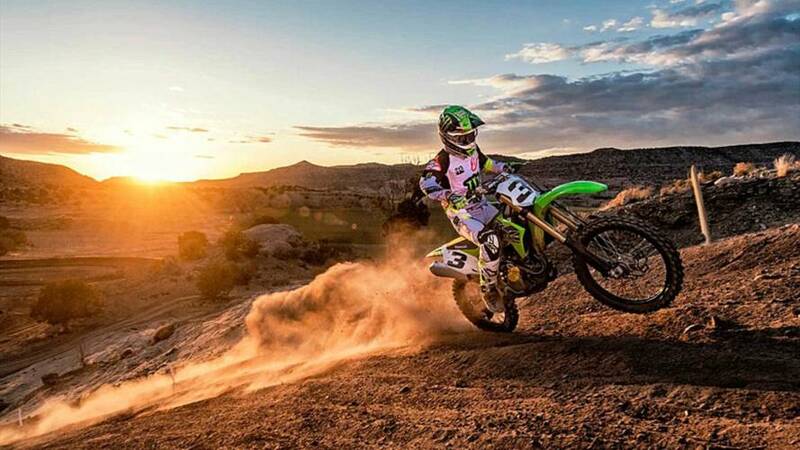 As part of the rollout of its 2019 off-roaders Kawasaki announced the all-new KX450, proving once again that Team Green can walk the walk. 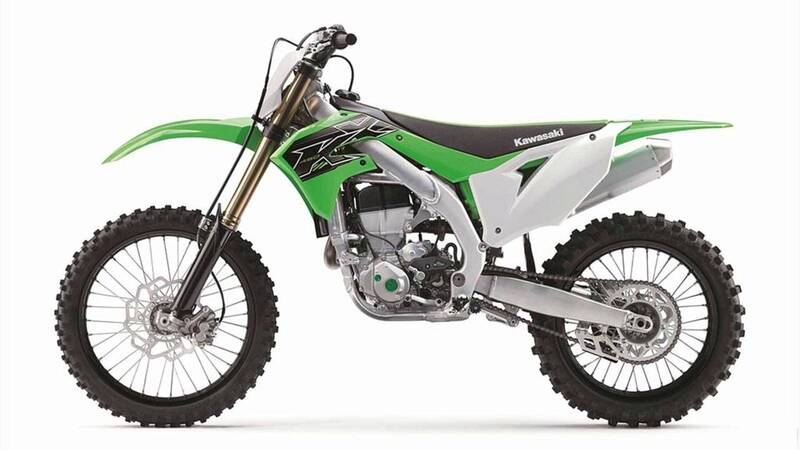 Kawasaki just announced its new KX450 motocross bike for 2019, and with it has let us know that the company is not screwing around. New from the ground up, the KX450 takes everything Kawasaki has learned about dirt bikes in the past few decades and distills that knowledge into one fantastic package. How fantastic? Let's let Kawasaki tell us all about it. 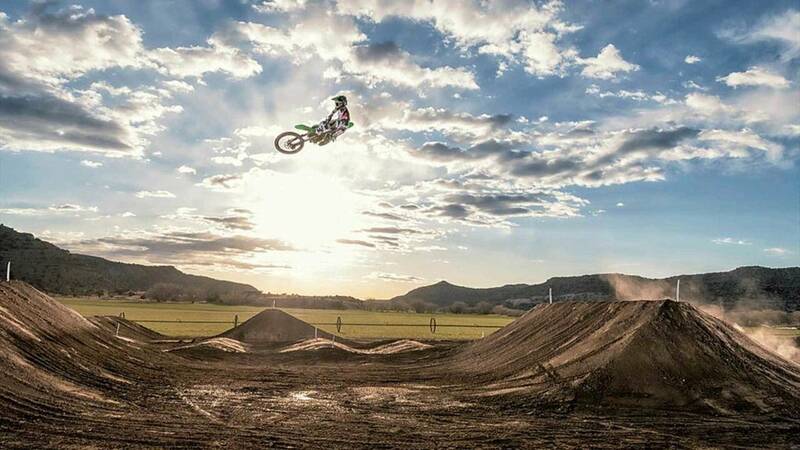 The KX450 doesn't really have a bad side. The Kawasaki KX lineup has an unmatched history of success and has paved the path to championships for the motocross heroes of today, while continuing to serve as the ultimate tool for the future stars of tomorrow. The KX family is the most dominant motocross and supercross brand of motorcycle available today, led by its flagship model the KX450. 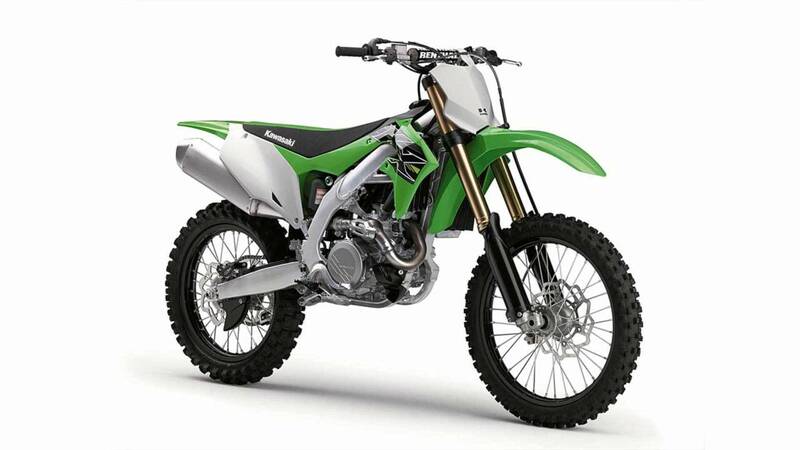 The all-new 2019 KX450 weighs in at 232.4 lbs without fuel while boasting a powerful engine, nimble handling, and technologically advanced features that are derived directly from the motorcycles used by Kawasaki’s factory race team. 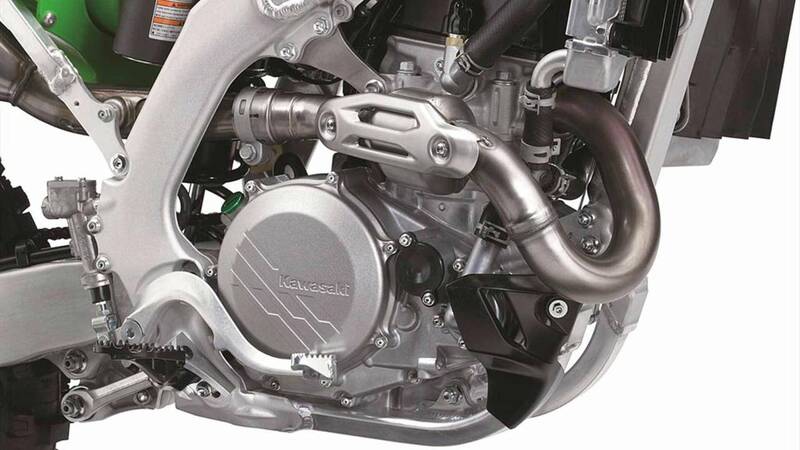 All-new features for 2019 include a new lightweight, more powerful engine, new slimmer aluminum frame, new Showa coil spring front forks with A-KIT technology, new hydraulic clutch, and new electric start system. 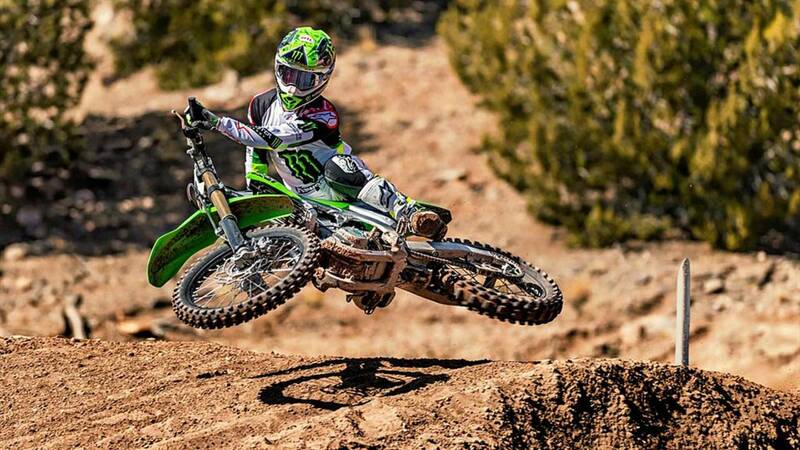 The new KX450 is a sharp looking bike. 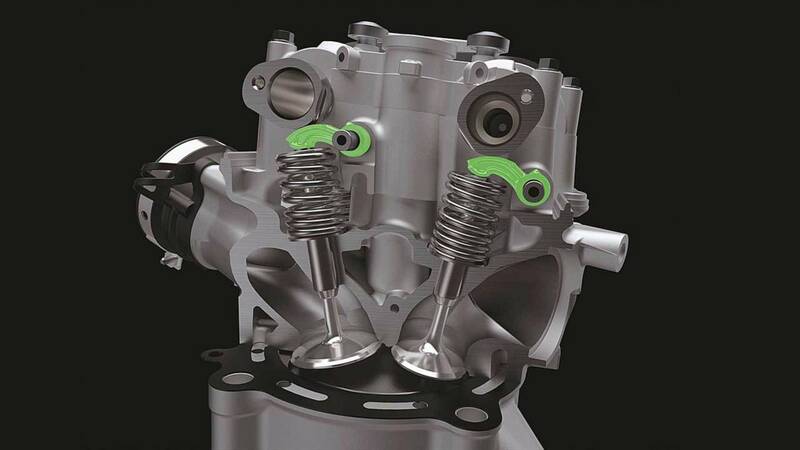 A look inside the new KX450's cylinder head. 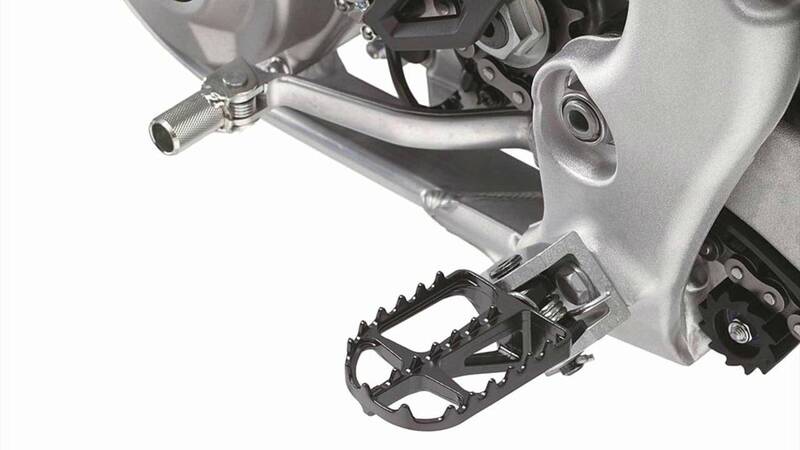 The electric foot is new for 2019. A whole lot of fancy engineering went into the new KX450's mill. 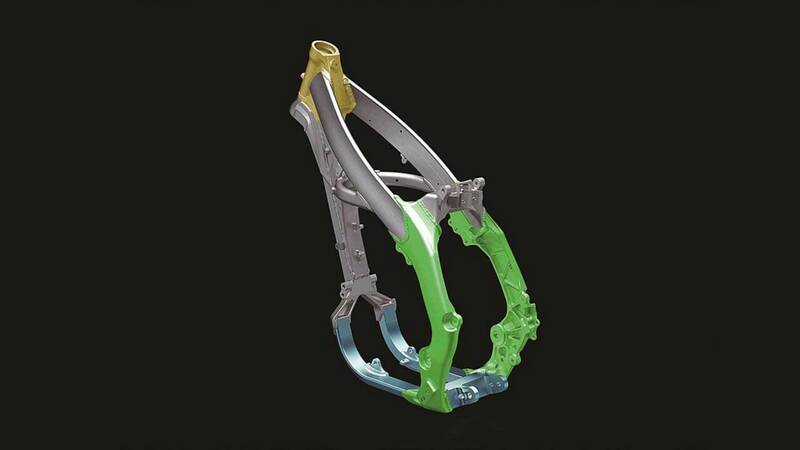 The KX450's new frame is lighter and more rigid than its predecessor's. 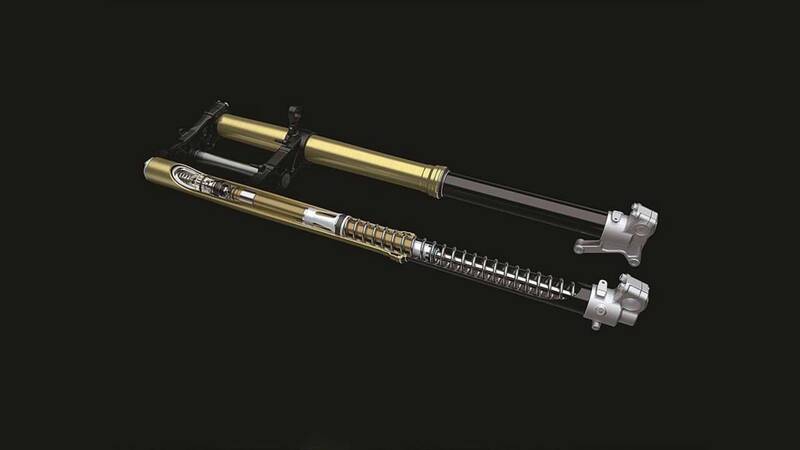 A closer look at the KX450's new Showa forks. HURT: Is the SilentHawk SOCOM's New Whip? 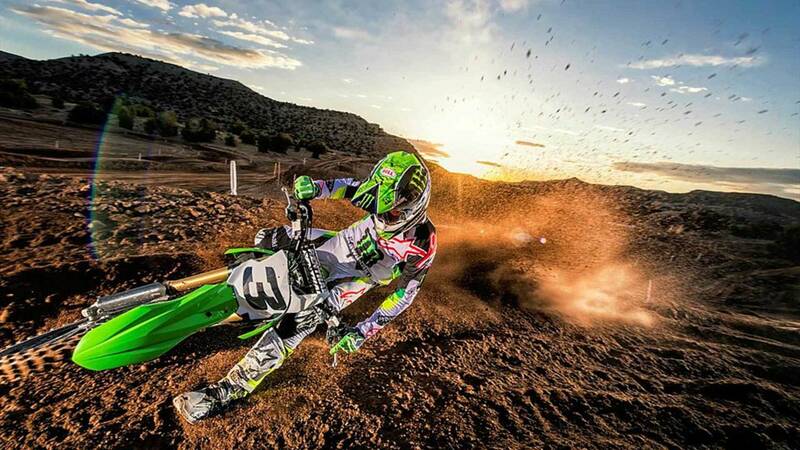 The KX450's bodywork was designed with racing in mind. 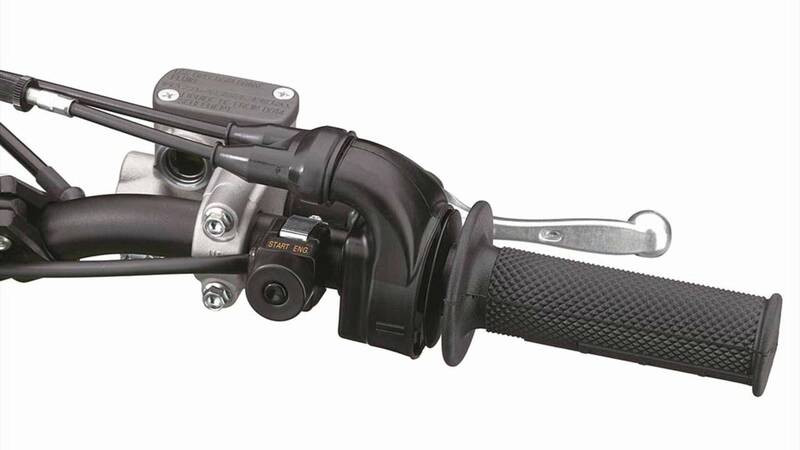 Controls and pegs are all adjustable to better fit different riders. 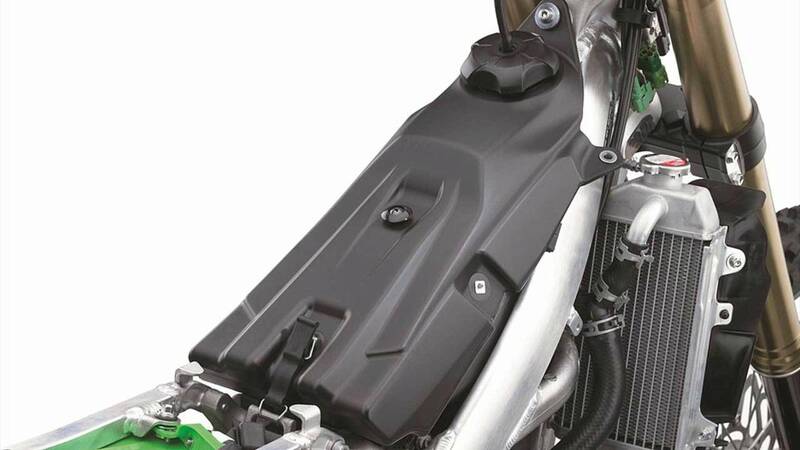 The compact fuel pump is hidden away in the low profile plastic fuel tank. 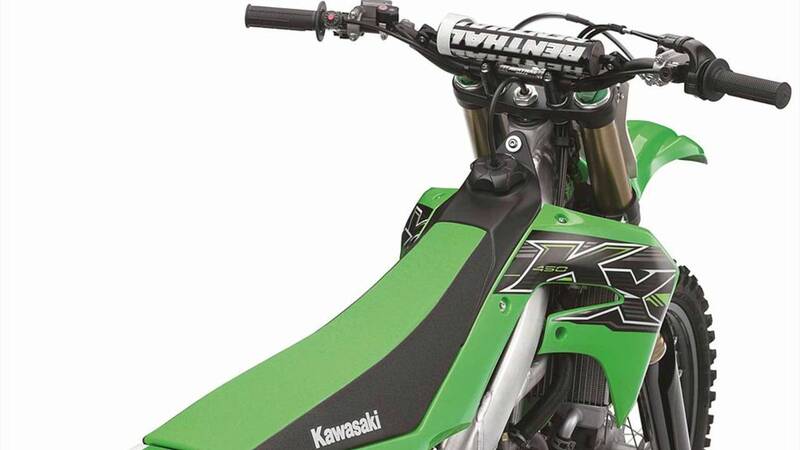 The KX450 is available now, and goes for a cool $9,299. For more details, check out Kawasaki's Website. Also, since they were so cool we decided to include some KX450 action shots to get you in the mood for some dirt bike action. There's really no stopping this thing. Long rooster tails are all part of the fun. 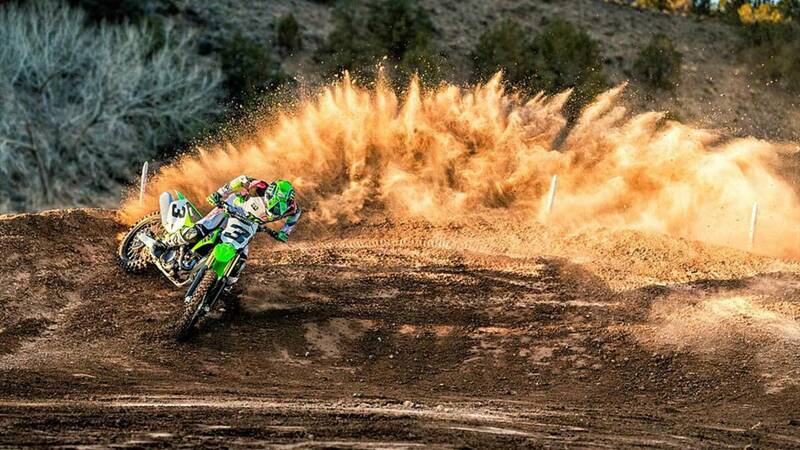 The KX450 gets down and dirty with ease.